Image of the 2100-cubic-meter “Olympus” mockup in the A3 Building at the Bigelow Aerospace main campus in North Las Vegas. 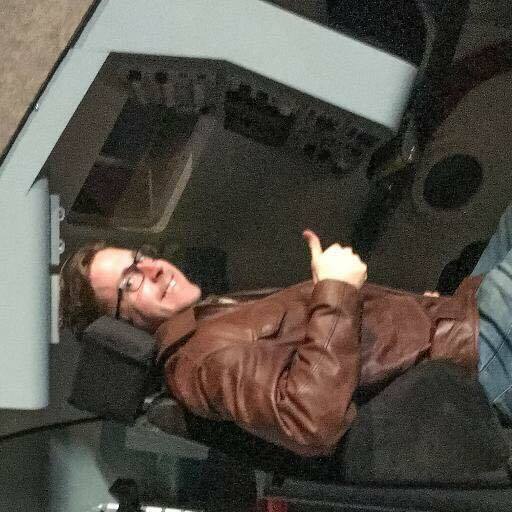 While I can’t speak too explicitly about the circumstances surrounding my departure, it’s time for me to update these chronicles to report that I’ve left my position as lead human factors analyst and radiation modeler/instrument designer at Bigelow Aerospace. I expect that this news may perplex many readers who know how long I’ve been working toward a position precisely like the one I held at Bigelow, and the confusion would be well-founded without a view to the many experiences I’ve had these last two years. Clarity, perhaps, may be best expressed (without violating company Non-Disclosure Agreements) in the immortal words of a certain legendary Jedi. Quite simply, Bigelow Aerospace’s destiny “lies along a different path from mine.” …at least for the foreseeable future. It’s taken me some time to compose this post in large part because the entire Bigelow Aerospace experience has been an exercise in extremes. Frankly, I haven’t been sure how best to distill what exactly it is that’s happened in the nearly two years since I started there. Those who follow the industry will recall that Bigelow suffered a recent round of deeply-cutting layoffs, reported as between 20% and 30% of the staff. While I was not amongst those shown the door shortly after the New Year, I will admit that this event did influence my decision to leave. Versatility and adaptability are not just advantageous attributes for those seeking gainful employment at a small NewSpace firm like Bigelow… They’re demanded by the nature of the work. There, one doesn’t just wear ‘multiple hats.’ Those with the most longevity become experts at balancing and nimbly flipping between a spire of dynamic headwear as they sprint from need to need. My point is that, in much of the NewSpace world, companies’ smaller sizes make it a great commodity to be able to serve a useful role at any number of conference tables, laboratories, or shop floors on a given day. 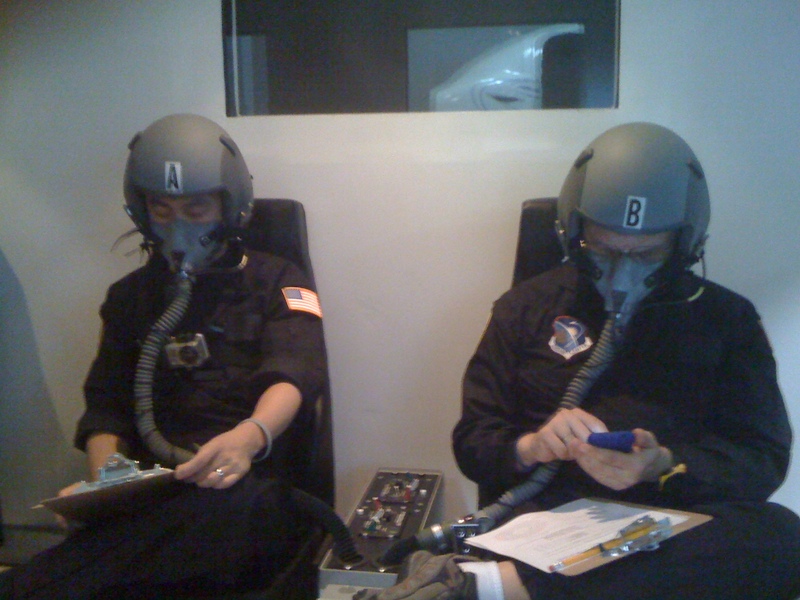 Take for instance the latest incarnation of the Crew Systems group at Bigelow Aerospace, which I helmed. From designing the program’s first complete Concept of Operations on down to performing practical evaluations of physical items and procedures for future crew astronauts, I had an unprecedented opportunity to get my hands on the meat of a division’s scope of work, tasking, priorities, approach, and hiring. In fact, I was shocked at how quickly I was given enough rope to really create something unique that pushes the envelope… (or hang myself if I didn’t think it through.) Such is the nature of the beast at companies that must be nimbly staffed and move quickly to adapt to the needs of an emerging market. Unfortunately, for the smallest companies, it seems that making a dent is almost a certainty. This is true even (or perhaps especially) for those who under-perform. In this case, missteps by even one engineer or manager have a capability to cripple an entire program or cost the company years in terms of lost time when work has to be re-done. Given market fits and spurts or the risk of R&D grants not being renewed before something is ready to go primetime, etc., the odds are pretty high of a specific project you’ve been working on getting shelved, at least temporarily. Not to despair, though — if the company is still around, it usually implies that management is following the money/clients to more successful work. I mean this in the truest sense. Prepare yourself. I’ve learned more about the aerospace field in the last two years than I did during a lifetime of leisure reading as an enthusiast and years of academic work on the subject(!). Specifically, be prepared to hinge your skull back and brain-guzzle for the first few months, if not the first year. The pace is breakneck and the content oh-so-alluring for those who share a passion for space. If anything, my time at Bigelow taught me that if you’re not ready to learn, then NewSpace isn’t for you. …and as always, Semper Exploro! 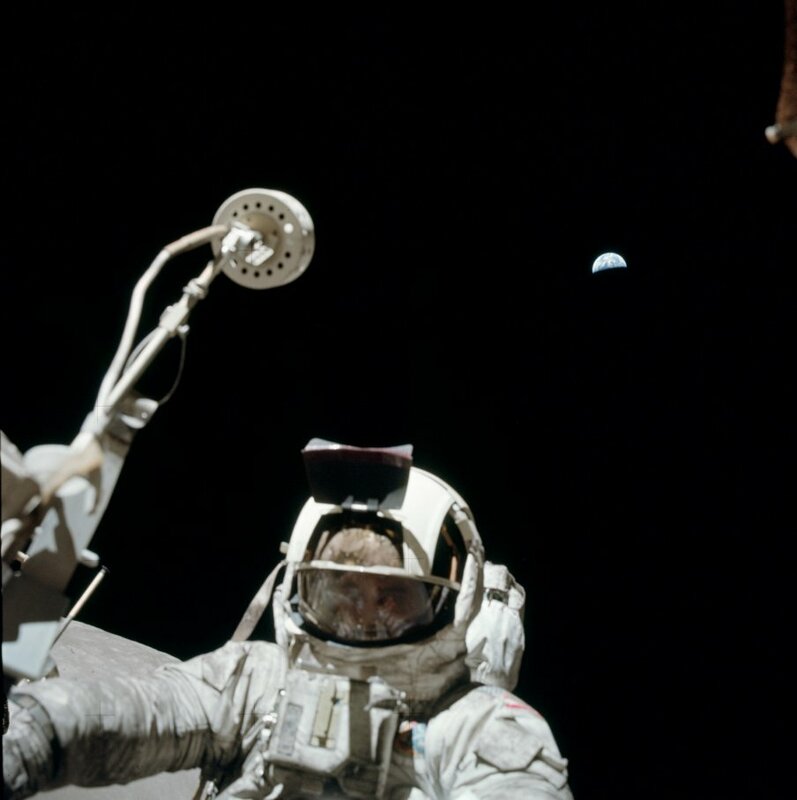 Space Exploration is suffering an identity crisis. 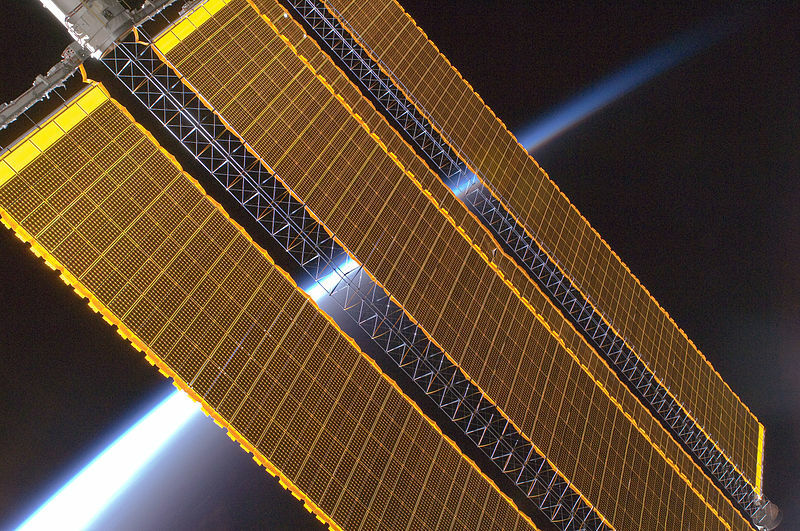 Like atmospheric flight before it, space exploration is evolving to include a spectrum of public and private participants, motivations, and goals. However, even amongst space enthusiasts and professionals, there is much (mostly friendly – I’ll get to that) debate regarding just what exactly it is that qualifies as worthy space exploration. Determining who or what is qualified (or makes someone qualified) to wear the title of “astronaut” and engage in space exploration seems to be the source of much of any contention amongst engaged parties. And, in certain corners, the resulting conversation tempestuously swirls around whether or not some current private efforts to reach space even qualify as exploration at all. With this in mind, and before the conceptual landscape becomes any more confusing or inconsistent, let’s take a detailed journey through the convoluted and fascinating history of just what it means to explore space and – not always coincidentally – to be considered a space explorer. It used to be considered that human beings had to bodily participate, a la the Lewis and Clark Expedition, in order for something to be considered “exploration.” In this light, robotic space missions were once seen only as tantalizing forerunners to the delivery of human bootprints, when the real exploration began. Now, however, based in part on funding, politics, and the march of technology, the robots have claimed much of the exploration center stage as competent cosmic surveyors, jaw-dropping photographers, and even mobile geologic laboratories. While not autonomous, their successes have led many to seriously question whether human beings will ultimately have a primary role in space exploration, if any significant role at all. Meanwhile, those who still endorse human ingenuity and adaptability as key components for space exploration face a simultaneous conceptual quandry. Once something clearly defined in nationalistic terms, (and intentionally invoking, let’s be honest, Greek-demigod-like associations), the conceptual waters of the 21st century human space explorer have also been permanently muddied. Anyone who crosses the invisible and somewhat arbitrary 62-mile altitude line to “outer space” can be honestly called an “astronaut.” However, a healthy handful of space tourists are now included in the fold of human beings who have crossed the threshold to space to become astronauts. To make the landscape even more confusing, many have advised (NASA included) that out of respect and/or accuracy we should refer to these self-funded astronauts as “spaceflight participants,” not tourists. So, are these participants to be considered explorers in their own right even if they are not considered career astronauts? Or are they simple sightseers along for the ride with the true explorers? Is or can there be a difference between a spaceflight participant and a tourist or sightseer? Whatever the semantics dictate, with hundreds of additional, willing, and self-funded future astronauts waiting in the wings, it is reasonable to ask whether or not being an “astronaut” even implies space exploration anymore. Is it the intent of the trip or tasks to be performed that is or are the key distinguishing factors between thrill-seeking and exploration, (i.e., is science to be performed)? This might be a sensible definition, yet in asking this question it is noteworthy to point out that many of the astronaut-spaceflight-participants have performed scientific work while in space. Despite this fact, many in the what I like to call the “OldSpace” community, (namely current or former NASA employees and contractors with a more traditional view of space exploration), balk at the idea that these participants represent legitimate space exploration. This seems to imply that it is only professional astronauts that are to be considered the explorers. However, the logic of making such a distinction quickly falls apart when considering the countless private expeditions throughout human history that have opened continents, frontiers, and knowledge to human awareness. So, this is my first point. We’re woefully vague when it comes to describing those who travel to or work in space. Peering more deeply into the issue, one of the primary issues is the qualification of someone to become an astronaut. Right now, by strict definition all it takes is a suitable increase in altitude for someone to earn their astronaut wings. Like a poorly-woven sweater, the more one pulls on this thread of questioning, the faster the whole thing unravels. Consequently, it may be here that we find the clearest junction from which the many different views of space exploration begin to diverge. Classically, “outer space” is considered the region encompassing the rest of the universe beyond the Earth’s atmosphere. That’s simple enough. However, we now know that the most rarefied portions of the Earth’s atmosphere (exosphere) extend out to more than 62,000 miles away from the Earth’s surface(! 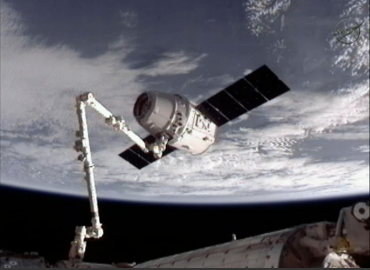 ), while the more conventional uppermost portions of the atmosphere extend to 200-500 miles in altitude (thermosphere). Yet at all of these fringe heights, the atmosphere is still little more than individual atoms zipping around a vacuum, separated from one another by so great a distance that they are practically indistinguishable from outer space. To make matters more impractical, these altitudes vary by several hundred miles depending on how much solar activity is warming up the atmosphere at the time. 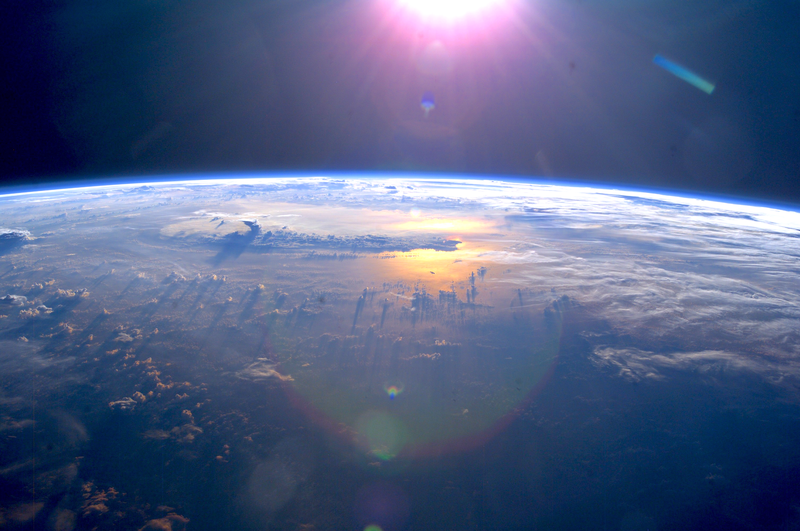 The atmospheric layer known as the stratosphere extends upwards to 170,000 feet, or 32 miles, and contains the planet’s ozone layer. This is now a height that is above all but rarest, upper-atmospheric clouds. Where would you put the dividing line? Current international convention, known as the “Kármán Line,” places it at 62 miles in altitude, or roughly 330,000 feet. 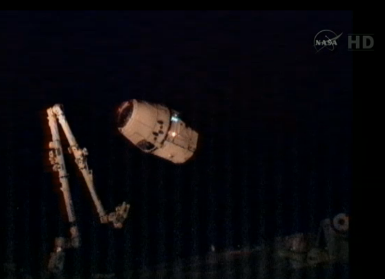 That’s out of the mesosphere and just peeking into the thermosphere. Confusingly, however, (and perhaps unsurprisingly after reading the above), the U.S. has separately defined an astronaut as anyone who reaches an altitude greater than 50 miles, or 264,000 feet, in altitude. 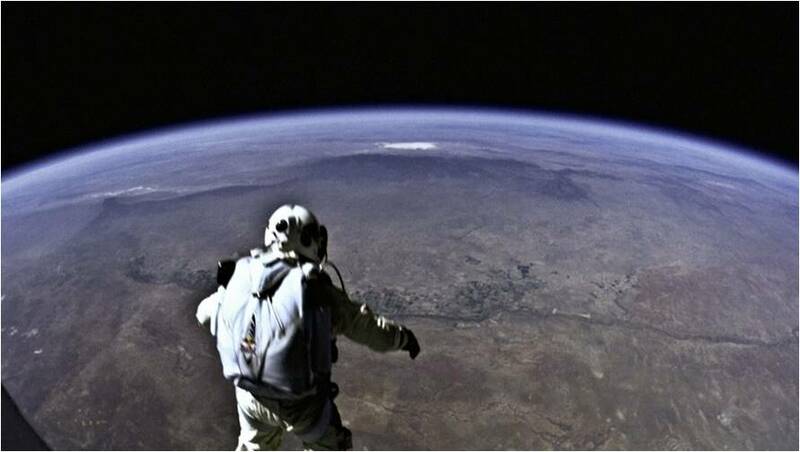 According to current convention, one needs to cross either 50 or 62 miles in altitude to reach space. Yet the above altitude list demonstrates that what most would refer to as a spacesuit (a pressure suit) is required by anyone attempting even 1/5th that altitude. Clearly, walking through the above exercise demonstrates that the human experience of “outer space” is reached far lower in altitude than these conventions currently dictate. Further, it’s clear to see that a would-be astronaut has escaped more than 90% of the atmosphere by mass well before reaching the Kármán Line. (To reiterate, this is a rub even between the U.S. and international bodies, whose definitions of the dividing line to space differ by more than 63,000 feet!). Hence, this is where serious debates about space exploration begin. For example, when private spacecraft aim to achieve suborbital spaceflight altitudes of 40 miles, such as XCOR Aerospace’s Lynx Mark I, they do not currently break through either the U.S. space line or the Kármán Line. Consequently, any passengers aboard cannot be technically called “Astronauts” by the most generally-accepted definition of the term. However, as anyone can see in the above list of altitudes and physical characteristics, 40 miles above Earth not only has long achieved the human experience of “space,” but it skirts the boundary above which even meteors pass by at many tens of kilometers per second (where entry friction would make even a sparse but significant atmosphere quickly known) without noticing anything appreciable. However, particularly, from the OldSpace corner, I’ve personally detected the prevalent sentiment that since this sort of travel doesn’t even reach “space,” it therefore could not possibly be considered exploration, much less fruitful exploration. Even those private efforts that do breach the Kármán Line are often scoffed at as repeats of old triumphs and rejected under nearly the same pretense. So, in an effort to thwart what I see as burgeoning (and perhaps unconscious) resentment within the more traditional segments of the space establishment with respect to new, private space technology, projects, and the human travelers that will utilize them, let’s delve further toward the heart of this identity crisis. 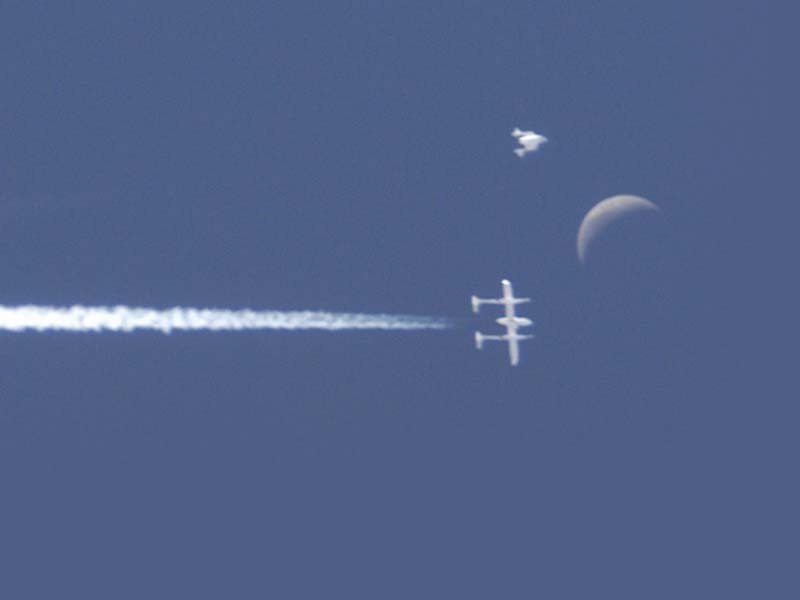 The 2004 clinching of the Ansari X Prize by the private flights of Virgin Galactic‘s SpaceShipOne. Objectors to the idea that spaceflights like that performed by SpaceShipOne can be considered fruitful space exploration point out that SpaceShipOne was only a suborbital spaceplane, boasting speeds far less than those required to reach orbital velocity. SpaceShipOne’s achievement itself was a modern replication of the 1960s’ X-15 Program, the pioneer rocketplane that produced the world’s first astronauts and gathered invaluable research for NASA’s Mercury, Gemini, Apollo, and Space Shuttle programs. Hence, arguments against the concept of private suborbital space exploration typically conclude that, with all of this in mind, there’s no more exploration to suborbital spaceflight than driving down a paved road. Suborbital spaceflight participants are therefore not explorers, nor can what they engage in while there be called space exploration. Particularly amongst the old guard of space science, “exploration” is therefore reserved for those pushing the frontier in higher orbits, cislunar space, trips to near-Earth asteroids, Mars, and beyond. 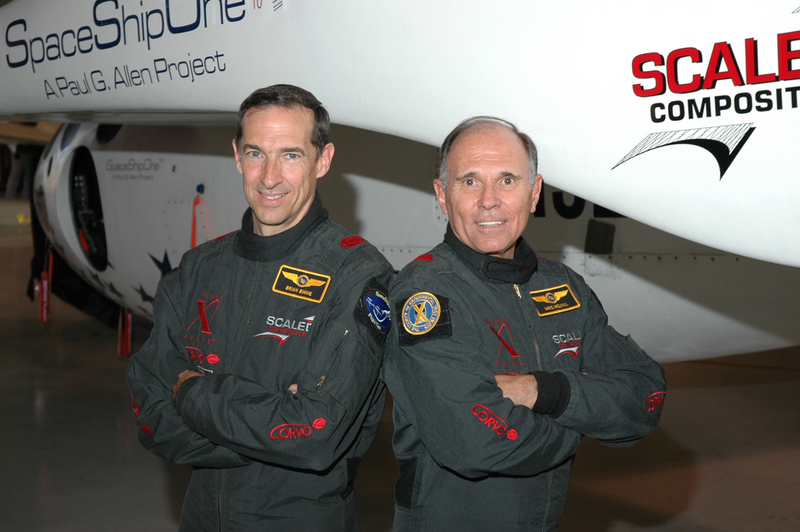 However, before throwing in the towel on 21st century suborbital space exploration, we must address the reality that SpaceShipOne managed to privately achieve what until that time had only been accomplished by global superpowers – no small feat! 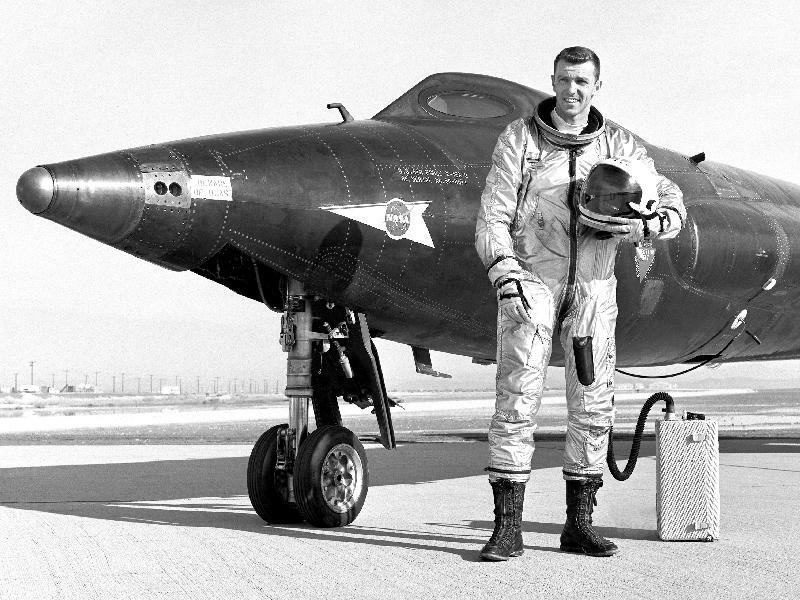 Further, it was a feat that led the FAA to award the first (and so far, the only) commercial astronaut spaceflight wings to pilots Brian Binnie and Mike Melvill. Surely they can therefore be considered pioneers, and exploration seems a fitting term for their achievement. 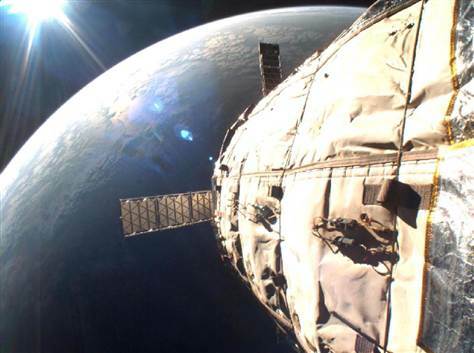 Peeling the veil farther back, it’s true that so-called space tourists began purchasing trips to the Mir space station and then to the International Space Station as far back as 2001. 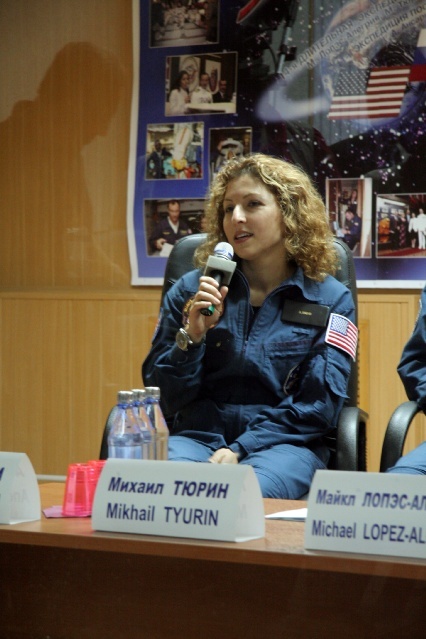 In order to participate, these private space adventurers had to endure and successfully complete the very same training as their Russian cosmonaut counterparts. The intriguing question that follows is this: If what government-sponsored astronauts were engaged in was and is considered to be legitimate exploration, wouldn’t by extension the same label apply to all on the same voyage assisting in the same work? If someone were to have purchased their way aboard Shackleton’s Endurance, would they be considered any less an explorer today? Then, what of our oceans as a parallel? They have been traversed hundreds of thousands if not millions of times in the last several centuries. Does this mean that no exploration may be conducted on the Earth’s oceans in the 21st century? 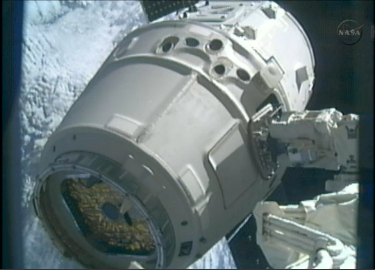 Just so, objections to suborbital spaceflight as legitimate space exploration logically fall apart. 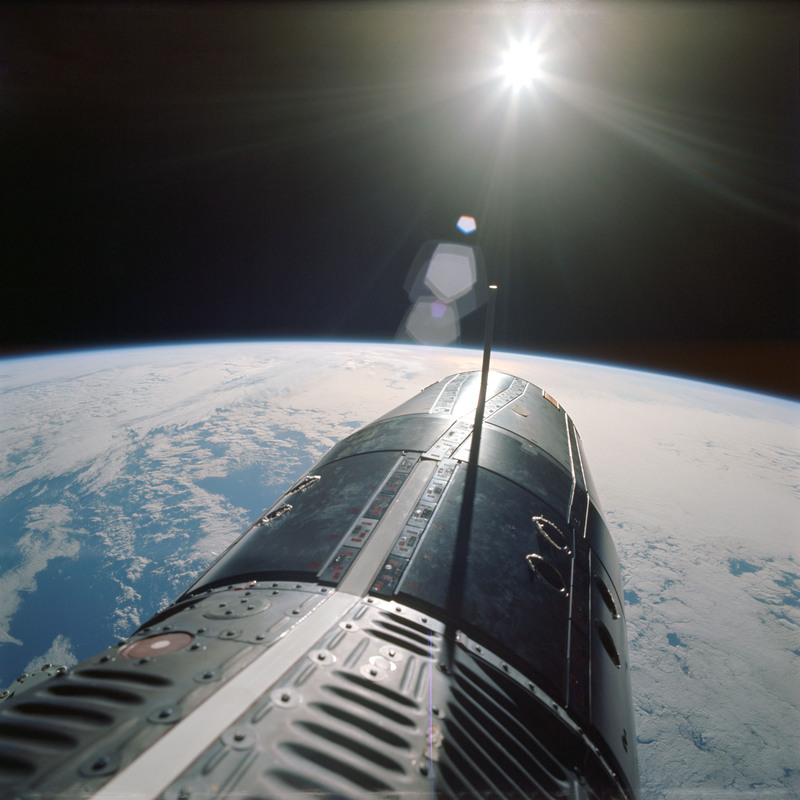 In even greater degree than with Earth’s oceans, there is ample room and conceptual research justifications for the legitimate continued exploration of suborbital space. So what’s the real issue here? Why is there any resistance at all? Or, more specifically, how we as a culture always tend to get evolution wrong. As a geologist, I’ve become very sensitive to a sort of teleological conceit that people tend to carry into the common understanding of biological evolution. In other words, people tend to incorrectly believe that life evolves toward something. We culturally call something that is more advanced more evolved, and we characterize something unsophisticated to be less evolved or primitive. When something loses ground, we even say that it has devolved. Well, much as the term “theory” is almost universally misused compared to the scientific meaning of the term, (people usually mean that they have a “hypothesis” when they say they have a “theory”), the terms “evolved” and “primitive” are fairly universally misused and misunderstood. They’re relative terms, not universal terms. One could paraphrase this misunderstanding by assessing the belief that there was a sort of biological, evolutionary destiny for algae – that given enough time and opportunity, the little, green “organism that could” would eventually evolve to become a human being. This, in turn, reasonably translates to a belief that we as humans are more “advanced” than algae, and that we’re therefore “better” than algae. Many are consequently shocked to learn that all of these beliefs are untrue, based on a series of logical fallacies. Science, quite surprisingly, shows us that quite the opposite is true. Life will evolve in any number of convenient directions, even those that seem backwards to our modern perceptions. So, by which yardstick are we to define “advanced”? Conceit leads us to select our own attributes as more advanced, yet this is not scientific. It’s arbitrary. For a more specific example, the fossil record reveals in several instances that seaborne life, adapting to a changing and increasingly food-rich land surface, eventually (over the course of thousands or tens of thousands of generations) made feet of fins and took hold on land. However, this same land-based life, under reverse pressure for food back toward the sea, over time reversed the trend and converted its feet back to fins once again. The erroneous interpretation here, (like assuming that we’re more advanced than algae), is that feet are more advanced than fins. The reality is that they are simply different biological tools that may be used, abandoned, and returned to if necessary or useful. “More evolved” simply tracks the progression of evolution forward through time, whereas “more primitive” describes a rung in an organism’s ancestry. In short, we see that instead of propelling itself toward a single destiny, life is flexible. It responds to the pressures of the outside world, wherever they lead. Evolution, therefore, is not so much the story of the noble rise of algae to one day become more “advanced” animal life to one day become even more advanced human beings who might one day build rockets to explore the stars… Instead, biological evolution is a complex, daunting, nonlinear story of life surviving at any cost; adapting to any niche it can, and capitalizing to its fullest on whatever biological skills were close at hand. 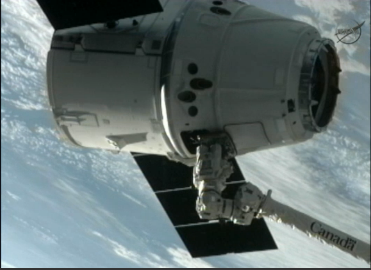 So, too, is the same error present with our perception of spaceflight and space exploration. As a modern, parasitic sort of conceit tagging along with our understanding of space history, we presume a linear destiny has been in play, when in fact it has not. The original image above, a logo occasionally promoted by Virgin Galactic, intentionally relates evolution to spaceflight. Ironically, it plays to both the incorrect and correct views of evolution. People tend to view space exploration itself as a teleological journey toward more distant and exotic locations, describing it in apropos biological terminology as a migration of life toward a destiny amongst the stars, to new colonies, etc. This is a feeling certainly visually-evoked by the above image of evolving spacecraft, a nod to the famous “March of Progress” illustration of 1965 simplified at right. However, this view relies on the conceit that farther distances are more advanced or “better” than short-range flights. When looking at the facts, this simply isn’t the case. 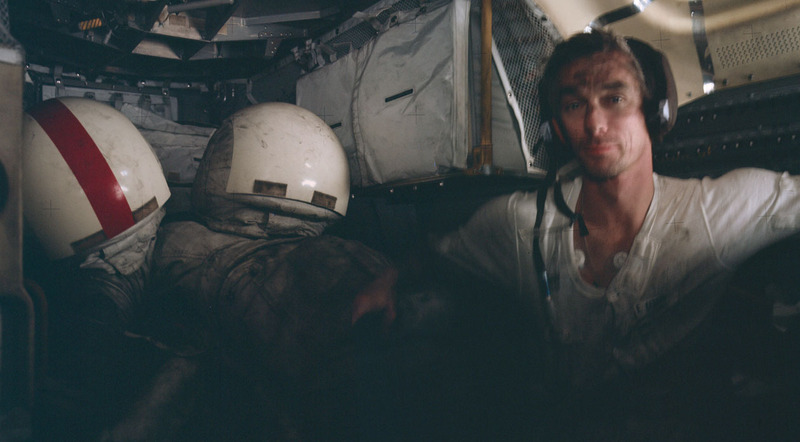 For instance, a phone in a pilot’s pocket aboard SpaceShipOne would have had literally thousands of times the computing power of the Apollo Lunar Module (LM) guidance computer, (to say nothing of SpaceShipOne’s onboard instrumentation). SpaceShipOne, also leveraging new developments in the technology of aerodynamics, composite materials, GPS location and tracking, and with the novel innovation of a feathered wing configuration for reentry, was a much more technologically-advanced spacecraft than the LM. The LM, it is also true to say, could not possibly have successfully produced aerodynamic lift or had enough thrust to land on the Earth, two feats SpaceShipOne performed with apparent ease. But SpaceShipOne only poked its head out into space, whereas the LM both landed on and departed from the moon while enabling its passengers to perform extra-vehicular activities – all impossible feats for SpaceShipOne. So, by which yardstick do we define “advanced”? Here, our same algae/human conceit rears its head. But clearly, destination and the level of technological advancement of a spacecraft are not related. They are simply different. In fact, looking more closely at the above diagram, this truth is actually captured. An observer will note that the second to the last, most “evolved” spacecraft is actually the LM. The final step in the sequence is SpaceShipOne, a ship whose maximum designed altitude does not come within 0.03% of the distance to the Moon. 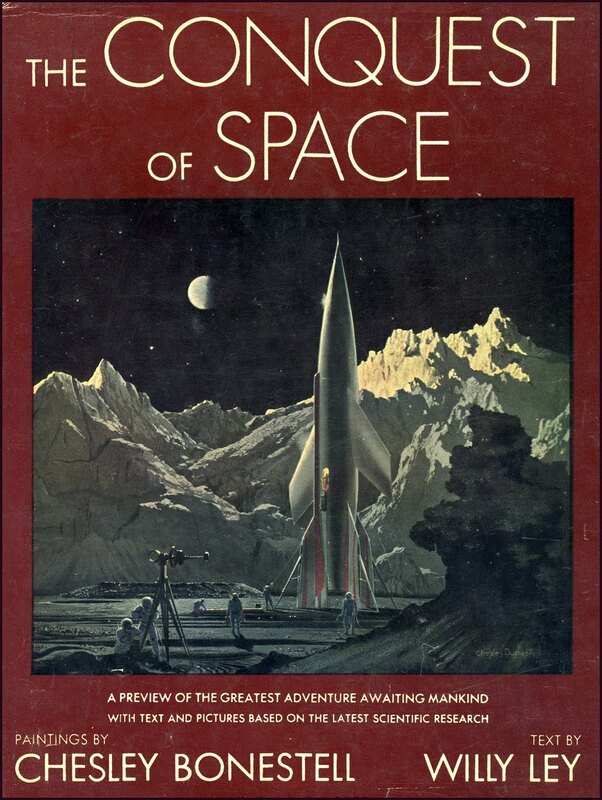 It is this conceit, I believe, that is also at the heart of OldSpace’s reluctance to (or perhaps even resentment of) embracing private space exploration efforts and those who engage in them as space explorers. We don’t like the messy version of evolution. On the one hand, a NASA historian who I greatly respect alleged to me that private suborbital spaceflight and even new, commercial orbital space modules and transportation systems (which have recently received NASA funding to enhance the U.S. space infrastructure and give scientists more platforms and opportunities to conduct research), were patently unworthy of NASA dollars. Existing Russian and U.S. systems should be relied upon, and the already pinched NASA budget, he implied, should be saved and consolidated for the more worthy endeavor of exploring truly uncharted planetary territory. Would I ever argue against probing the possible subsurface seas of Europa, the lakes of Titan or even the permafrost-spiked upper latitudes of Mars as worthy exploration? Certainly not. I became a geologist for precisely these sorts of explorations. However, this bias once again recalls our comfortable teleological conceit. Nearly simultaneously with this conversation, I gave a talk at the 2013 Next-Generation Suborbital Researchers Conference where I championed the use of suborbital flights to gather new information to explore how low-dose, high intensity radiation exposures may affect the human body. This untapped research, in turn, could help guide and revise radiation safety measures and protocols right here on Earth. Admittedly, such work is not as thrilling or romantic as forging ahead into the uncharted lands of new worlds. However, I would argue to the teeth that this research also presents a completely legitimate form of space exploration, one with potentially even more immediate application to life at home than exploring other worlds. This exemplifies what I see as the root of OldSpace’s resistance: The idea that ground already trodden has nothing left to teach us; That if it has been done before, especially by the hallowed pioneers of early NASA, it cannot be improved or expanded upon while possessing a legitimate claim to space exploration. If this conception is as prevalent as it seems to me to be, it is with no small amount of urgency that we must confront this bias head-on. Chiefly, such a perception amongst researchers and professionals in existing aerospace firms creates an entry barrier so impenetrable that private space exploration firms and the innovation that comes with them would be thwarted before they even had a chance to prove themselves in the space market. Secondly, even if unwittingly held by those on grant review panels, in academic positions of leadership, or even in elected office, these perceptions would threaten the ability for new ideas, techniques, and novel research to receive the support they need to see the light of day, to the detriment of us all. Like an accurate view of biological adaptation over time, we should afford our cherished concepts of space exploration the freedom to evolve with the pressures of the modern era. The history of NASA spin-off technologies shows us that even one of these space-based innovations, which may not initially seem as teleologically-advanced as setting foot on Mars, may radically change life on Earth for the better. Another, seemingly innocuous line of research explored in even the nearest atmospheric shores of so-called Outer Space could trigger the long-sought paradigm shift that at last transforms humanity into a thriving, spacefaring civilization. Essentially, he was wondering if our work to make space more accessible to both citizens and researchers wasn’t ultimately self-defeating. It’s a fair question. However, is that really what draws people to space? Is it really simply the remoteness of outer space and a desire for the prestige associated with having been where so few have gone before? Frankly, while I can’t speak for anyone but myself, this seems like the perception of someone who does not personally wish to engage in space exploration. Of all the people I have known who wish to loose the bonds of gravity and touch the great beyond, it isn’t for bragging rights. Instead, it’s a deeply personal calling – like those drawn to deep-sea or antarctic ice shelf research – something that seems to draw like-minded or like-willed people to the science frontiers to plunge their own hands past the realm of comfort and viscerally shove on the limits of knowledge and human experience. By my internal compass, this is what separates mere sightseeing from honest exploration. Bragging rights versus knowledge. 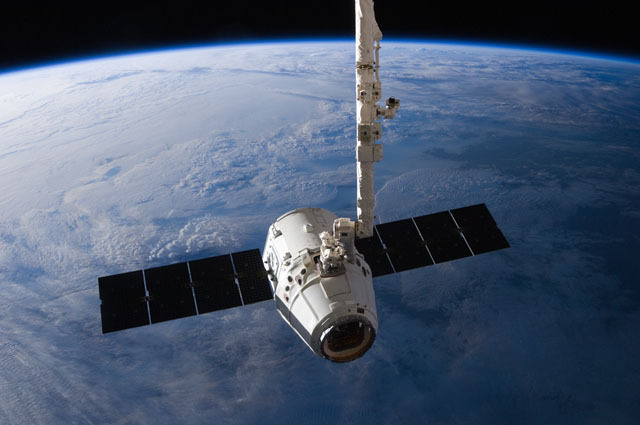 Adventure may be experienced in either case, but only in the context of the latter could a successfully-completed spaceflight ever be considered a failure, (e.g., if the experiment wasn’t successfully performed or a data-logger malfunctioned, etc.). This is a healthy benchmark for an explorer, which becomes comfortably similar to how we define exploration here on Earth. …Our collective conception of space and astronauts, that is. No matter where we determine the arbitrary dividing line separating the atmosphere from space to be, and irrespective of the motives of those who desire to travel there, the reality is that space is no longer an abstract location. It’s a place. In fact, “space” is many places. Space includes suborbital space, near-space, low Earth orbit, the International Space Station, geosynchronous orbit, cislunar space, the Moon, Mars, asteroids, and all other natural and artificial celestial locales and bodies that now more than ever beg us to recognize them for what they are and pursue what they each, separately, have to teach us. In so vast a series of environments, both literally and conceptually, there is ample room for all types of exploration, from the public and pure-science motivated to private and profit-oriented; From testing the farthest, uncharted reaches of deep space to surveying the near-space regions just beyond our atmosphere about which we have so much yet to learn, (take the recent discovery of upper-atmospheric sprites and elves as an example). Just as the same, cerulean blue oceans beckon tourists to cruise in luxury within giant floating hotels, lure fishermen away from land to harvest food from the sea for both business and pleasure, and attract scientists to study its biological, geological, and climatological mysteries, so too will space invite a spectrum of sightseers, explorers, workers, and businessmen. Consequently, I endorse an extremely broad and inclusive view of space exploration. 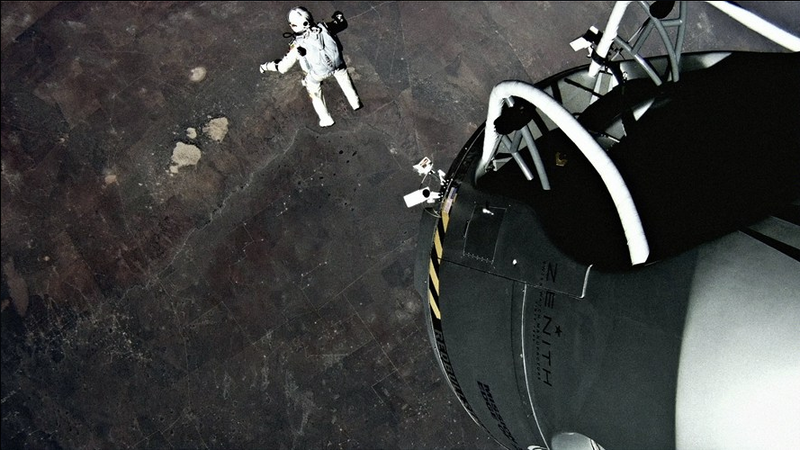 For example, while only half-way to even the most liberal current altitude line for reaching space, the Red Bull Stratos “space jump” served several significant space exploration research functions. Specifically, in addition to wearing the trappings of spaceflight (i.e., pressure suit, pressurized capsule), the jump collected data invaluable to those currently modeling suborbital spacecraft passenger ejection systems, scenarios, and high-altitude parachute systems. Likewise, prior to the jump (which broke several records), medical and physiological science had no idea what the effects of bodily crossing the sound barrier would be(!). Further, I believe time will show that, long after our lingering 20th century biases have fallen away, legitimate exploration of all realms applicable to space exploration will be perfectly justified and therefore persistently embraced as such. And in that case, exploration of each of these different regions of space and near-space will remain vibrant until the boundaries of our knowledge have been pushed so far outward that our civilization’s use of space makes it simply unrecognizable to us today. It is then, perhaps, that space exploration will finally have abandoned our conceptual conceits and eliminated the vagueness of our young descriptions of the realms beyond our world and those who choose to work and explore there. View of the Phoenix centrifuge simulator interior from the observation lounge. For those interested in something a little more full-motion, I submit to you a quick post today pointing toward what civilian commercial scientist-astronaut training, (i.e., non-NASA) looks like. Courtesy of Keith Cowing (of nasawatch.com, spaceref.com, and a phalanx of other space industry sites fame,) the video of our high-g centrifuge training at the NASTAR Center last May was recorded and uploaded as a live webcast (I’m second in the video). NOTE: Because the video was recorded live, all commentary, hoots, hollars, and laughter is therefore uncensored and should be received in that light. Each participant in the video takes three “flights” on a SpaceShipOne-style craft simulator built into a state-of-the-art centrifuge. The first of these simulations is performed at 50% power, and the second two are at 100%, enabling trainees to experience exactly what the pilots of SpaceShipOne experienced on their way to space. 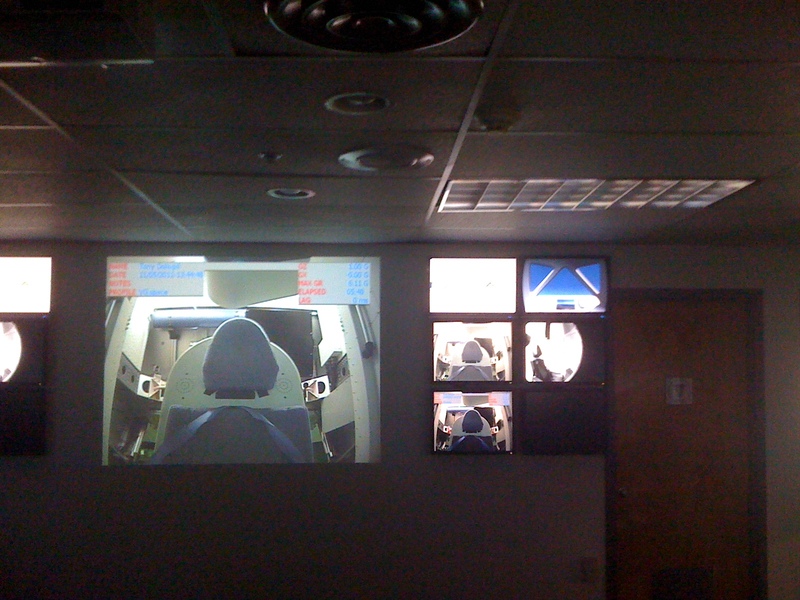 Video of the exterior of the simulator during a “run” may also be found here, while a view of the display inside the simulator during a run may be seen here. It was a blast! (I blogged the experience starting here.) So, for the curious, enjoy the video, and many thanks to Keith for archiving this for posterity! A quick note today on the further development of the worlds’ first commercial scientist-astronauts! 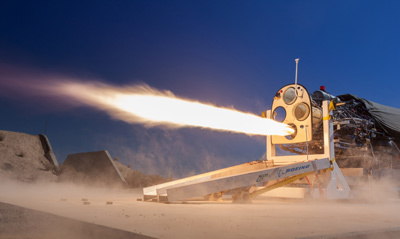 The Southwest Research Institute‘s (SwRI) suborbital research program, after its stunning announcement last spring of the purchase of several research seats on upcoming suborbital spaceflights, is showing no signs of slowing. 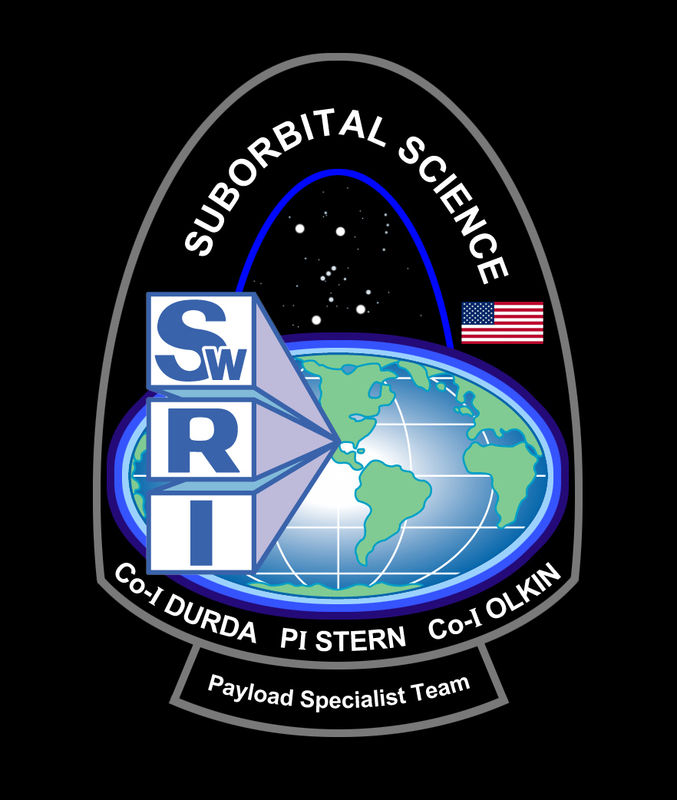 Recently, after their three commercial scientist-astronauts-in-training, (specifically termed payload specialists,) completed basic astronaut training, they announced the release of their project mission patch (at left). I’m not sure if anyone else feels the same way, but I’ll be brave enough to admit that something as technically irrelevant as a patch can make an endeavor feel suddenly very real. 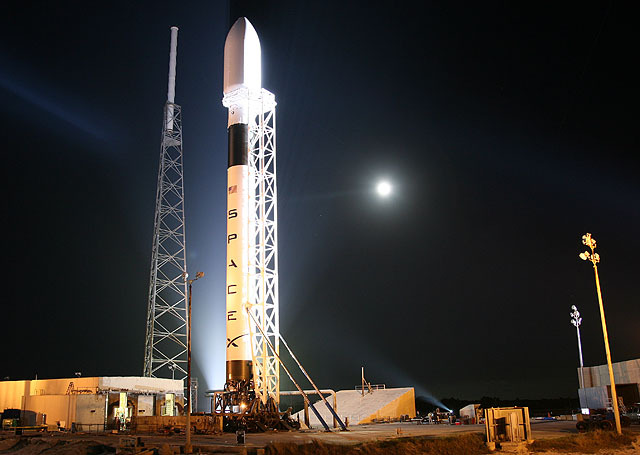 According to their recent statements, the team is moving out of the phase of training and the construction of their spaceflight experiments to fine-tuning their payloads and integrating them with future spacecraft. With SwRI and Dr. Alan Stern leading the way, the advent of commercial civilian scientist-astronauts is upon us, and I couldn’t be more thrilled. I hope to follow right behind.